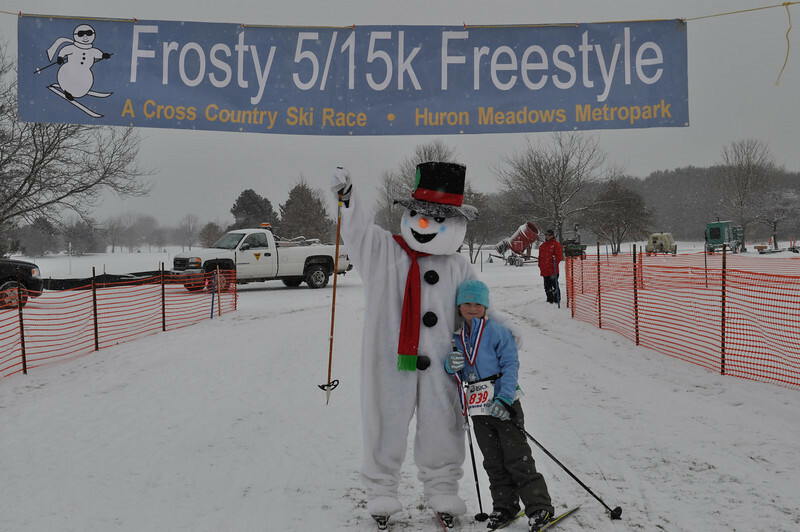 Forty-five kids arrived at Huron Meadows at 8:00am, got their skis, and headed out to the start line to race in the first ever Frosty Freestyle Kids Race. Frosty the Snowman was their to cheer them on! Photos by Ken Grybel II.